The following map sets out SID’s holistic approach to the continuing professional development of directors. 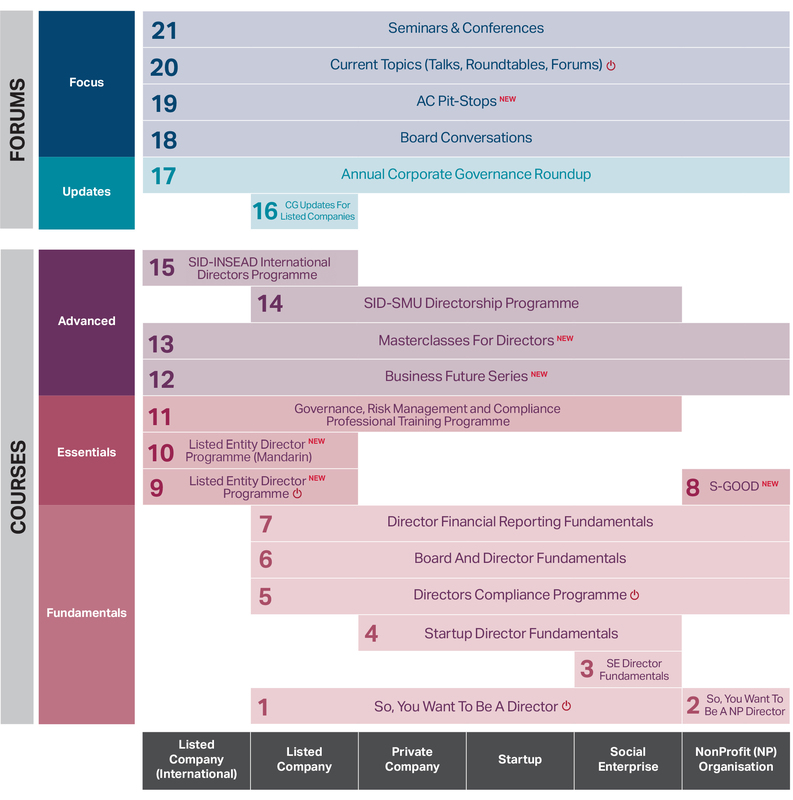 SID’s broad based curriculum is designed to meet the varying needs of different categories of directors based on the stage of their directorship journey. Online modules or e-resources related to these courses are available.